Four Tips for Slaying Your New Year’s Resolution! Another year, another blank slate to write the next chapter of your life. There’s no time like the present to set the counter back to zero and reflect on your personal goals for the year. Whether your final objective is increasing your workout time, reading more books or picking up a new hobby, how will you make sure your 2018 goals will stick past January? I want to make this year the year that I take back my health. That means moving more, eating better, and taking more time for me. Kind of like last year’s resolution but, I’ve decided I want to start doing more things I did before I was a mom. Sometimes, we put ourselves on the back burner and it isn’t always healthy. So, I am putting myself first this year! 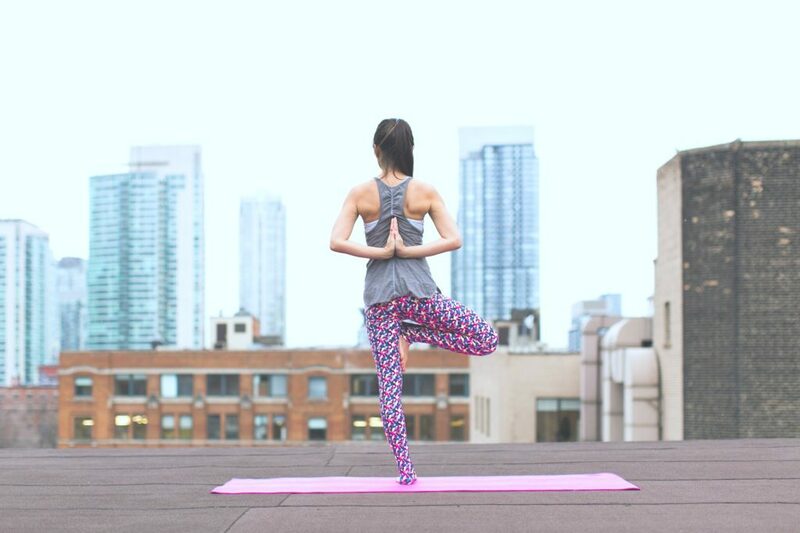 While we all start the year with great intentions, the road to a new routine can be a steep climb. Here are a few tips that will help you stay dedicated to your resolutions in 2018. Many of us turn to running in the new year because there are no classes to sign up for or expensive equipment to buy. It may be easy to start, but this high-impact activity requires some preparation. The force exerted on your knees is as much as three times higher than walking, and an injury is a sure-fire resolution killer. The best way to increase your chances of staying in the race is to wear the right shoes. Make sure you break in new shoes with shorter runs first. Try replacing the thin insoles that come with your running shoes with insoles made for running. 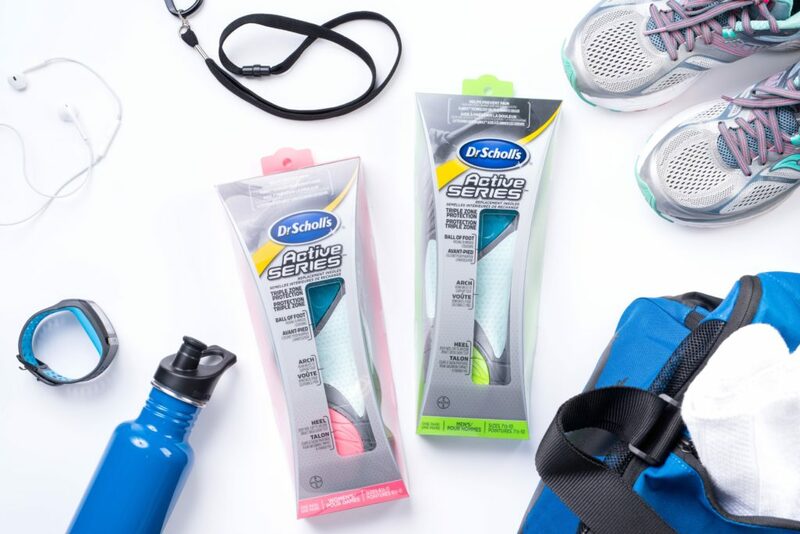 Dr. Scholl’s Active Series Insoles can reduce shock by 40 percent and alleviate pain from common sports injuries including runner’s knee, shin splints, and plantar fasciitis. Take the extra time to expand your resolutions into realistic, measurable goals. Be specific about how you plan to achieve them and track your weekly progress in a journal. Remember to include checkpoints to celebrate the small achievements along the way! I find journaling cathartic too so you can mix it up. Some can be bullet point, others brainstorms, and full entries. 3. Practice self-care along the way. If getting active is on your resolutions list, you’ll be quick to develop a love/hate relationship with muscle soreness. On one hand, you’ve crushed a hard workout, but your reward is a sore back and neck. Take control of your pain at home. ALEVE Pain Relief Caplets provide fast acting 12-hour relief from back and body aches so you can get back to it. Also, take time out to do something that makes you feel good. Whether that’s getting your hair or nails done, a new outfit or work out gear! No matter what you’re trying to achieve this year, always factor adequate rest into your schedule. Staying up late to finish a book on your reading list can be counterproductive to reaching your goals. Get at least six hours of sleep each night and mix in a meditation session once a week to help refresh your mind and body. After all, your body needs time to heal! My goals this year is to get healthier, read more books, and travel more but, finding a balance is most important. In the end of it all, if you do your best and have the tools to help you along the way, you’ll be just fine. How will you slay your New Year’s resolutions? Pretty much everyone I know has already given up LOL! They should have read this first because you have some GREAT ideas here. I especially love the journal. It is hard, that is for sure! I have been trying to keep my New Year’s resolution this year. I have been exercising for ovary year that I’m trying to be a little bit better with what I eat. These are all great tips. I need to get much better at it myself. This is something that we should all bookmark. New Year’s resolutions are always done with the best of intentions, but they always fall by the wayside. We can all use a little help. We actually didn’t make new years resolutions this year, haven’t in a few that’s for sure but we did make some changes in December that would probably qualify. I like how you mentioned to Journal to keep on track with your goals. We are joining a fitness challenge at the end of the month so I will have to keep that in mind to keep me on task! Always great to keep track, that is for sure. For me my biggest thing is getting to the gym. It helps me to have an accountability partner. Yes, that is a great motivator. Love your goal and love these tips. New years give us a great chance for a fresh start. And it is never too late! I love your ideas and goals that you are shooting for this year. I don’t take Aleve now but I sometimes need a pain reliever and if it works for 12 hours that is amazing. Thanks! Yes, I need it some times! I will slay mine by being organized, not biting off more than I can chew, outsourcing what I can and enjoying life! Great tips! We have to put ourselves first sometimes. I really should start journaling more often. It’ll definitely help me in a therapeutic kind of way. This is a great post! Your feet are the foundation of your body and you need to treat them well. I think insoles or orthotics are a must to provide a solid foundation. 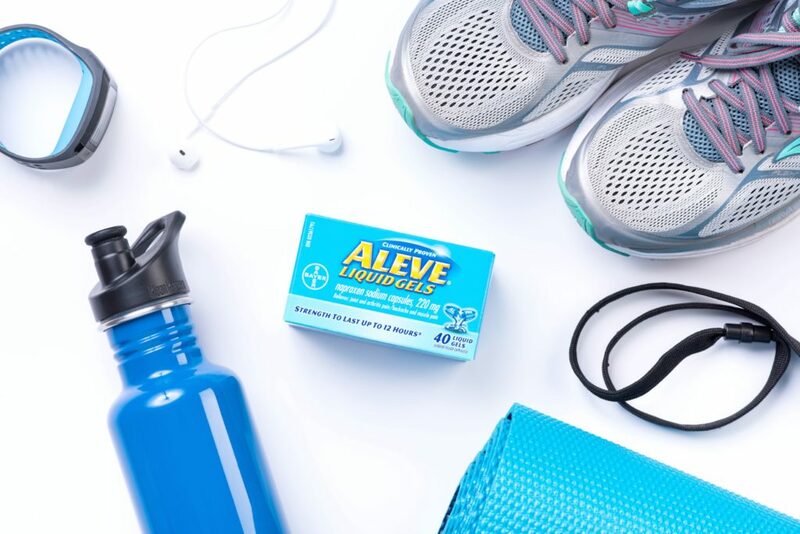 Of course, working out causes body aches so alieve is a must too! I need to make more time for me to workout. I sometimes get so caught up in day to day work that I forget to make time for myself. I need to get better at this too! I really need to get some health and fitness resolutions underway. Thanks for sharing these tips, I will have to make sure I have some of these tools to get started. I don’t usually make New Year’s resolutions anymore but it’s really nice to learn tips to be able to stick to better habits. I think keeping a journal is a great idea! Yes, better habits are great. I am feeling pretty good about all of my resolutions this tear. I have resolved to move more and so I am actually doing even more exercise and more skiing. That means I will need that Aleve at some point. Great tips here and good products too. Yes, I need it more and more lately. These are all good tips for staying on track. New Year’s resolutions can be hard to keep. They can really be hard! Keeping a journal is what I really did. It really helps a lot whenever I write the thing that I want to do. I love those Dr Scholl’s pads, they really work! I am not doing too good on my resolutions, but it is never too late to start! They really do work, make a whole world of difference. Love! I seriously can’t live without my insoles or my alieve haha especially for my resolution this year! “Practice Self-Care Along The way” now THAT is a great tip that we all forget while trying to accomplish our goals. I need to take this advice because sometimes I’m reaching so hard for my goals that I get worn out and exhausted along the way, which makes success much more difficult! I love the idea of keeping a journal. Writing is such a great way to hash out the why behind your goals as well as write out a game plan and focus on success. Yes, I find it so cathartic. While I’m already slaying my new years resolutions, I’m always looking for additional tips, so thanks for these! They are awesome! I defiantly need to add a little more rest and recovery into my resolutions. I notice that lately I’ve lacked some rest, and lack focus. Definitely add it to your repertoire. Oh gosh…this just reminds me that I need to really get on top of my new year’s resolutions!! I haven’t even started some of them yet…oops!! I’m keeping a journal this year. I didn’t do it the previous years although I must say, I was successful with my goals too. Thank you for all these great reminders. Awesome, good luck in 2018. These are really awesome and helpful tips toguide usthis year. I do agree that our health and wellness is very important and must comes first in our priority. I’m slaying the rest and recovery lol. On a serious note, I think journaling helps, especially when looking back. keeping a journal is a fabulous idea! Something I definitely need to do as my thoughts are always running and now a days baby brain kicks in and i forget EVERYTHING so should be making notes of the important things. Rest, recovery and some time to unwind is definitely very important along your journey or anytime! All great tips,I have fallen off track by I get right back on ! !